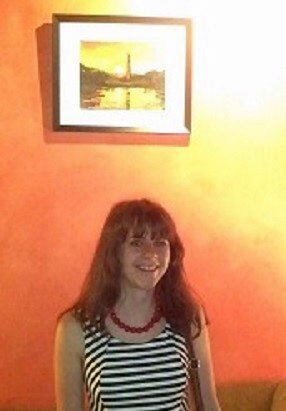 This is the first time in five years that Coyle is exhibiting her artwork in the area. The show will have three events with limited space for viewing the work, so contact Megan if you’re interested in getting on the guest list for the opening, artist talk, or closing reception. Otherwise viewings can be made by appointment only. Over the weekend I worked on installing my exhibit at the Goodwin House in Alexandria, Virginia. 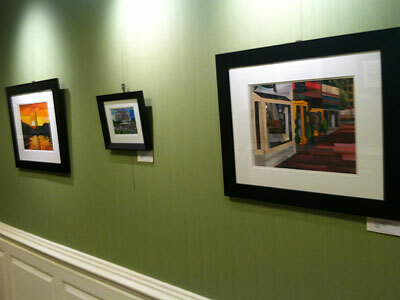 The exhibit, “Paper Collage Scapes,” features about thirty of my landscape, cityscape, and a few still life collages. The show includes some of my older pieces as well as some relatively new ones that were completed just last year. 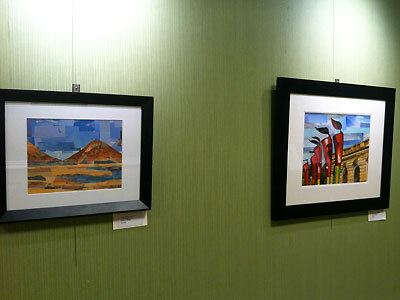 I’ve included images of the installed exhibit so you can get a sense of the space. I sort of like the contrast of the green wallpaper with my artwork framed in black frames with white mats. Anyway, I’m looking forward to returning to the Goodwin House in the next few weeks to give a talk about artwork, process, and experience with self publishing a children’s book. 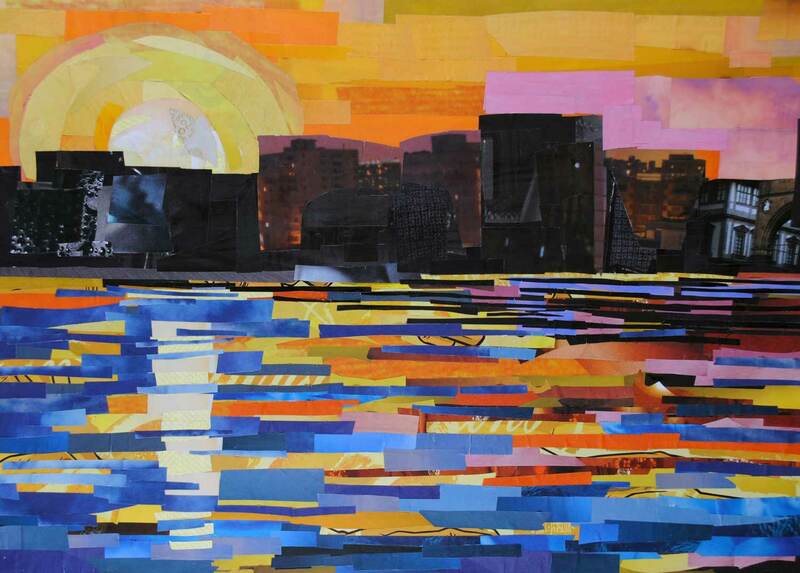 “Paper Collage Scapes” features a variety of Coyle’s landscape, cityscape, as well as natural still life collages that have been completed over the years. 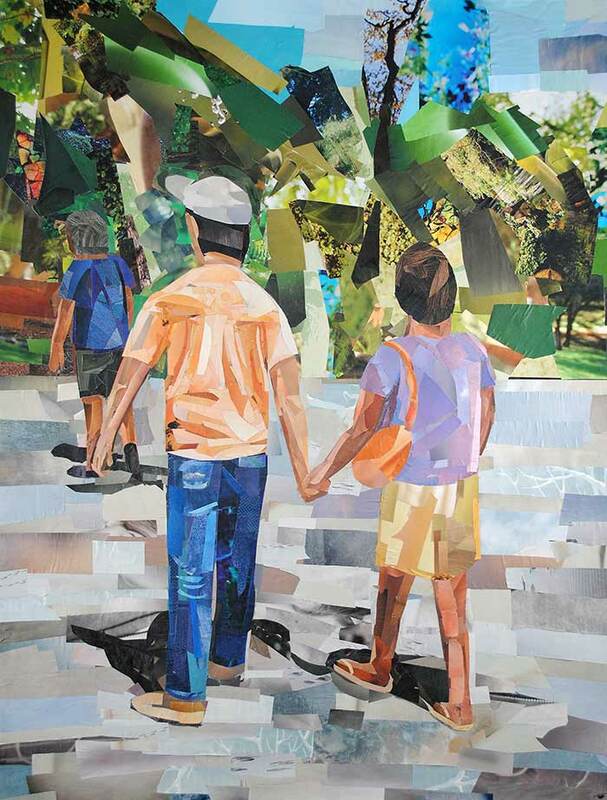 The exhibit even includes several collages that were part of her D.C. Collage Scapes series. 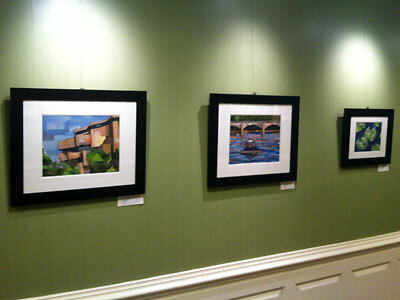 The show explores the intricacies of various buildings and houses in the D.C. area, as well as natural landscapes. 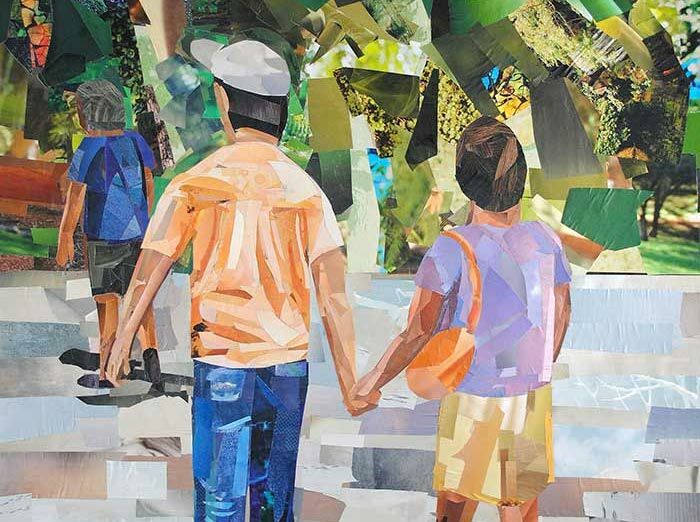 Coyle has composed each collage using solid colors and fragments of photographs found in magazines. This is the second exhibit Coyle has had at the Goodwin House – she is excited to share her work again with the residents and their families. Opening Reception: Thursday, October 17th, 2013 at 7:00p.m. 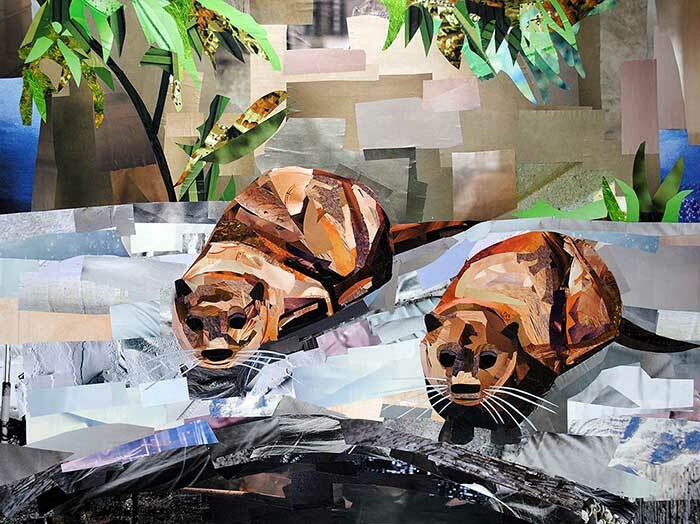 Coyle will display five of her large animal collages at Mt. Pleasant Library’s exhibit space. 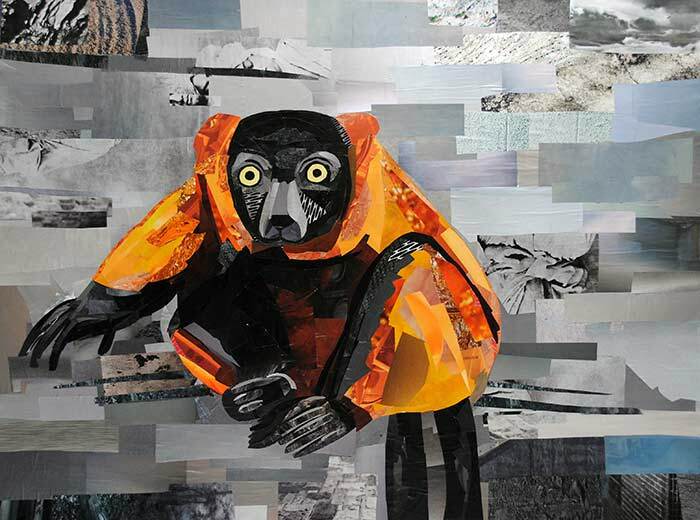 Each work of art was inspired by the National Zoo in Washington, D.C. When it comes to creating works of art, Coyle enjoys drawing inspiration from familiar scenes and settings of everyday life. Often times she’ll wander around Washington, D.C. looking for inspiration for future works of art. One of her favorite places to visit for inspiration is the National Zoo. The works she selected for the Mt. 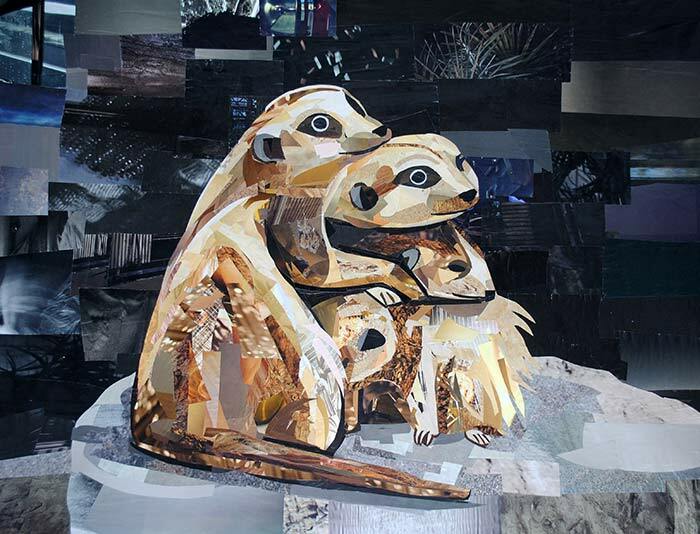 Pleasant exhibit are from a series where she explored working with a variety of texture to piece together different colorful animals. 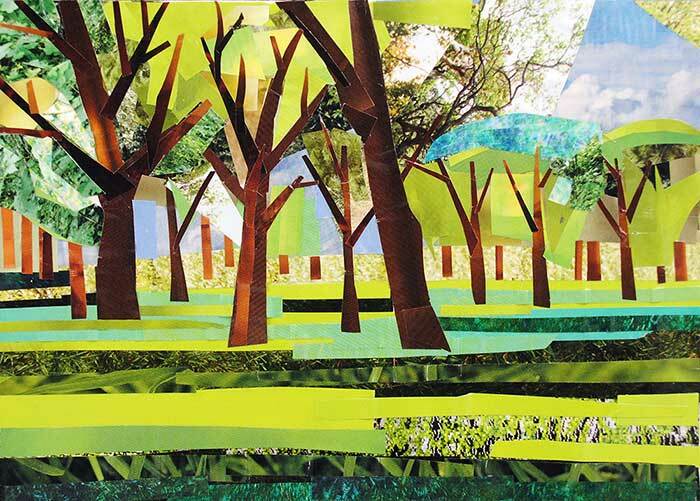 I’m running a collage making workshop for seniors and adults in the D.C. area. 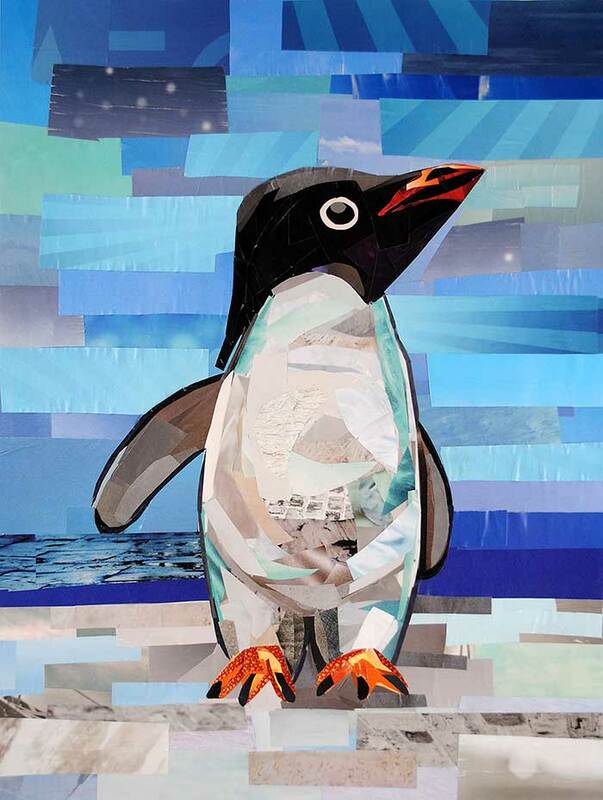 I will discuss my work and technique, demo my work, and proceed to help attendees make small animal collages. This workshop is being run in conjunction with my exhibit that will open at Mt. Pleasant Library on October 17th. The program is provided in collaboration with Mt. Pleasant Library and Day Eight, a nonprofit that promotes the arts in the D.C. area. 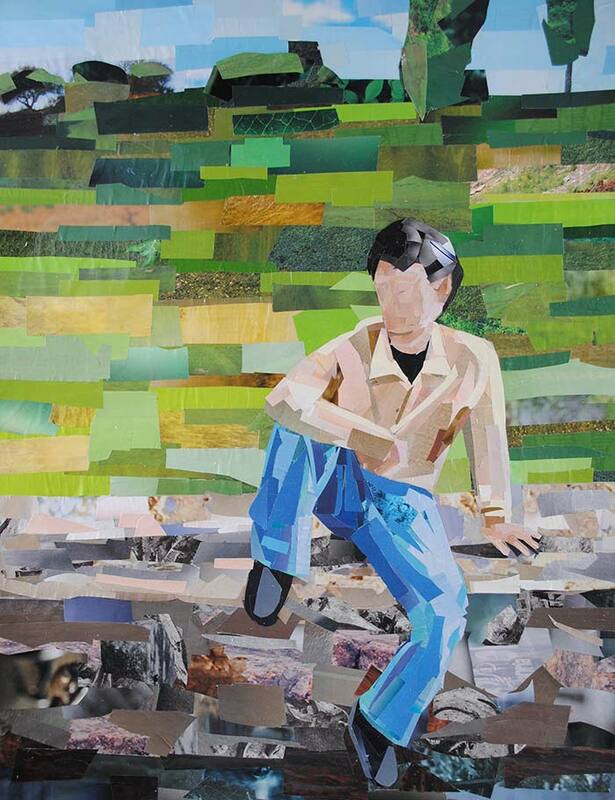 I will run a workshop for children and youth on collage making. 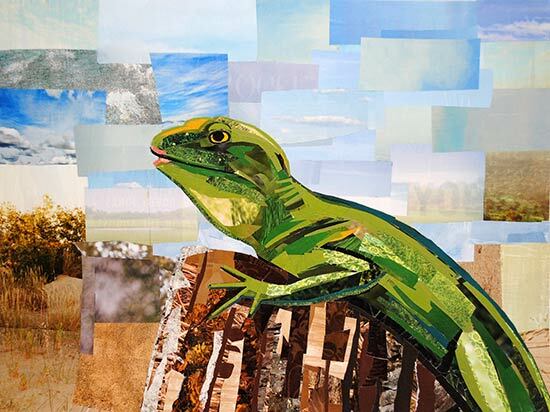 I’ll demonstrate my technique, “painting with paper,” and then assist attendees with making their own “painting with paper” collages of animals. This workshop is being run in conjunction with my exhibit that will open at Mt. Pleasant Library on October 17th. The program is provided in collaboration with Mt. Pleasant Library and Day Eight, a nonprofit that promotes the arts in the D.C. area. 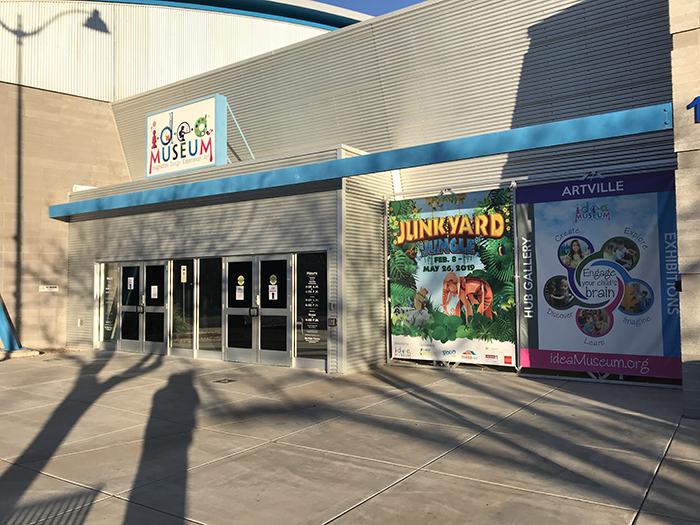 The workshop is free and open to the public. Registration is required – so make sure you contact the library in advance by stopping by Mt. Pleasant’s Children’s Room or calling (202) 671-3125. 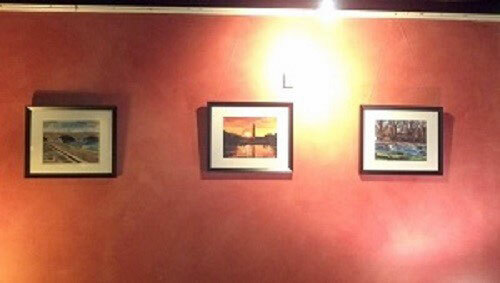 This month my artwork is on display in a group exhibit at Tryst. 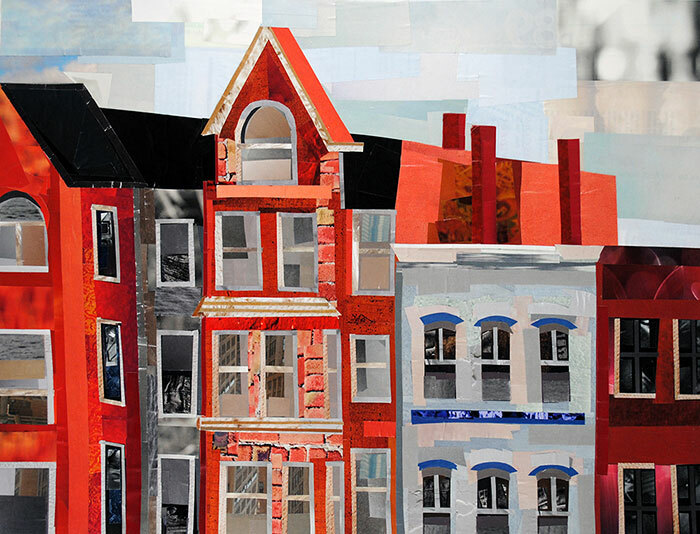 The exhibit features the work of three D.C. area artists who are part of the Bourgeon book project. 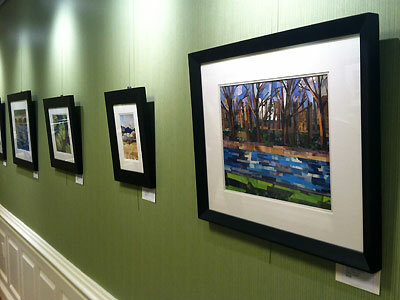 Five of my landscape/cityscape pieces are included in the show. This past Thursday was the opening reception for the exhibit. A big thank you to everyone who attended and those who were also hard at work organizing the show. The Examiner recently wrote an article about the exhibit and artists, which you can view here. The photos from this blog post were all taken by the writer when she was attending the opening.